Brig. Gen. Alfred Iverson, C.S.A., son of Senator Alfred Iverson, also a Brig. Gen., and Caroline Goode Holt, was born here Feb. 14, 1829. He served with the U. S. Cavalry in the Mexican War and Mormon campaign and fought the Comanches and Kiowas. 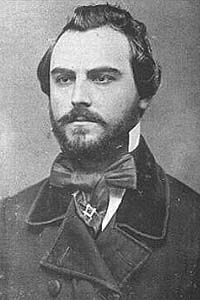 Resigning his lieutenancy in 1861 he joined the Confederate Army rising to the rank of Brigadier General in Nov. 1862. He was wounded in the Seven Days Battles and fought at South Mountain, Sharpsburg, Chancellorsville and Gettysburg. Commanding a brigade of cavalry from Wheeler’s Corps at Sunshine Church with 1,300 men he defeated raiding Gen. Stoneman with 2,500, capturing 500 men and Gen. Stoneman. 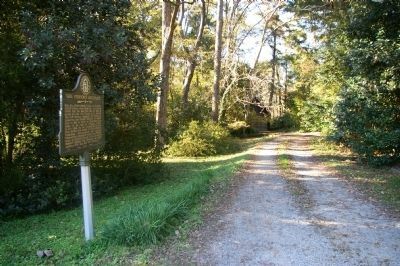 The marker is at the driveway to the home, which is privately owned and not open.
. Marker is at or near this postal address: 370 Pulaski Street, Gray GA 31032, United States of America. Touch for directions. Other nearby markers. At least 8 other markers are within walking distance of this marker. LaFayette (approx. 0.2 miles away); Macarthy-Pope House (approx. ¼ mile away); Old Clinton (approx. 0.3 miles away); Samuel Griswold (approx. 0.3 miles away); Sherman’s Right Wing (approx. 0.3 miles away); The Stoneman Raid (approx. 0.3 miles away); Clinton Female Seminary (approx. 0.3 miles away); Clinton Methodist Church (approx. 0.4 miles away). Touch for a list and map of all markers in Clinton. More about this marker. The home still stands, but is privately owned and not open. More. 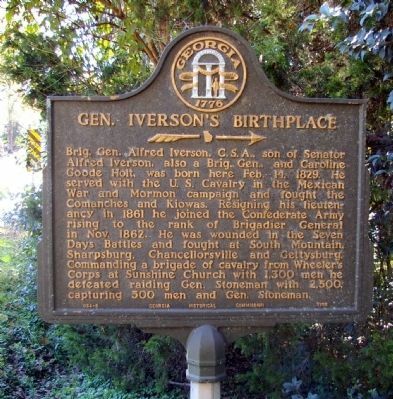 Search the internet for Gen. Iverson’s Birthplace. Credits. This page was last revised on June 16, 2016. This page originally submitted on November 29, 2009, by David Seibert of Sandy Springs, Georgia. This page has been viewed 1,293 times since then and 6 times this year. Photos: 1, 2. submitted on November 29, 2009, by David Seibert of Sandy Springs, Georgia. 3. submitted on September 7, 2012, by David Seibert of Sandy Springs, Georgia. • Craig Swain was the editor who published this page.